Art & Auction is a monthly art magazine for art connoisseurs with an interest in collectible fine art and antiques. 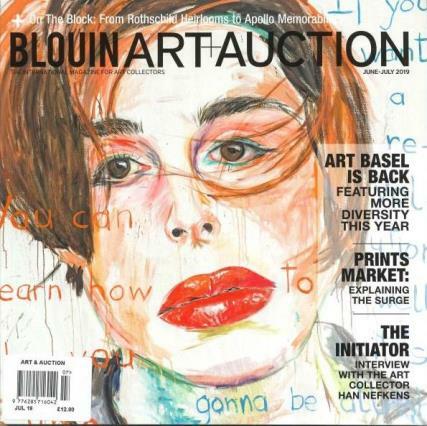 Buy a single copy or subscription to Art and Auction magazine. Considered a leading authority in the industry, Art & Auction magazine is published eleven times per year. The staff of Art & Auction is dedicated to providing unequaled access to the world of fine art collectibles. Issues contain special features on art trends, news stories, profiles on both artists and art aficionados, reviews of art shows and exhibitions. Also important for any serious collector are updates on market trends in the fields of art and antiques. You can also find insider art information within the pages of Art & Auction magazine. This kind of profile is what you will find in Art & Auction magazine. The magazine is not limited in scope to just American artists. You are just as likely to find an article on the Museum of Contemporary Art Australia or the growth of China as a power in the global art world. If you are a collector, an artist or just someone with an interest in the global world of art, artists, collectors and fine arts you need to subscribe to Art & Auction magazine.